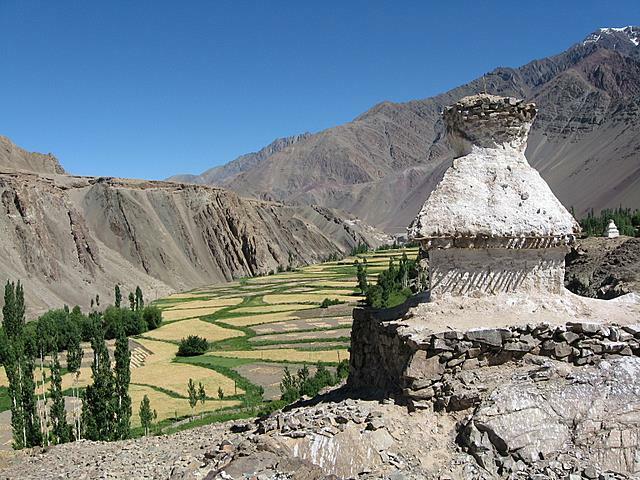 The monastery is approximately 50km away from Leh. Of course, in Ladakh that does not mean half an hour of drive, especially if average driving speed is around 25 km per hour… Road is interesting. You get everything. From wide paved roads to narrow gravel roads with some signs of pavement. I guess driving in a road like this can be very tiring… even for passengers its tiring and dusty.. Its good that we will go trekking towards the Manali, as two days on such road… And you get get a range of different vehicles… from battered old trucks to royal enfields… (driven mainly by tourists).